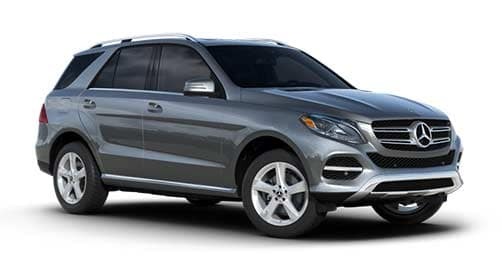 Two popular San Francisco area All Wheel Drive SUVs include the 2018 BMW X5 xDrive35i and the 2018 Mercedes-Benz GLE 350 4Matic. Each with its own look and advantages, the BMW and Mercedes-Benz models are known for their luxurious comfort and convenience features, versatile cargo space, advanced technology offerings, and their all wheel drive capabilities. BMW X5 – Maintenance: Includes BMW Ultimate Care, 3 YR/36,000 MI factory-recommended maintenance*, versus the Mercedes-Benz offering of a pre-paid maintenance option at time of purchase. 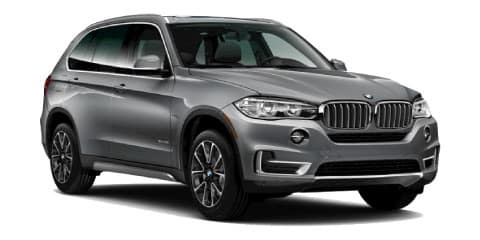 Overall, the 2018 BMW X5 xDrive35i offers better acceleration, additional features like the Panoramic Moonroof included standard, and a more optimal covered maintenance plan than the 2018 Mercedes Benz GLE 350 4Matic, making the BMW X5 a fantastic ride and a smart decision over the competition. Interested? Explore the new BMW X5 today first-hand at your local BMW experts: BMW of San Francisco. Switching gears, we compare the 2018 BMW X5 xDrive35i against the 2018 Audi Q7 Premium Plus to see which of these elite bay area SUVs offer the best value. Both the BMW and Audi models offer many standard luxury features, such as a Head-Up Display, Navigation with Voice Command, Touchscreen Infotainment System, Panoramic Moonroof, Power Tailgate, and much more, as well as robust 3.0L 6-cylinder engines with an All-Wheel-Drive system for maximum control in any driving situation. BMW X5 – Cargo Space: 76.7 cu. 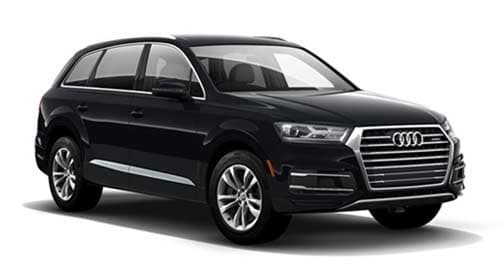 ft. versus the Audi Q7 Premium Plus at 71.6 cu. 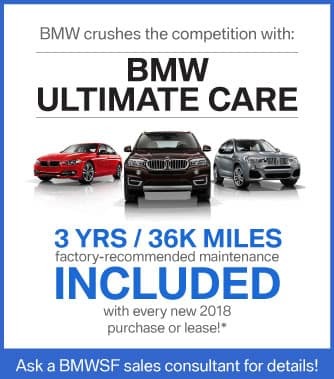 ft.
BMW X5 – Maintenance: Includes BMW Ultimate Care, 3 YR/36,000 MI factory-recommended maintenance*, versus the Audi’s 1 YR/10,000 MI no charge first scheduled maintenance. For a slightly less starting MSRP, the BMW X5 edges ahead of the competition with more cargo space, some unique available features, and a more optimal covered maintenance plan than the 2018 Audi Q7 Premium Plus. BMW even throws in a cargo cover, standard. Want to learn more? Contact a BMW X5 expert at BMW of San Francisco to more thoroughly review the details. 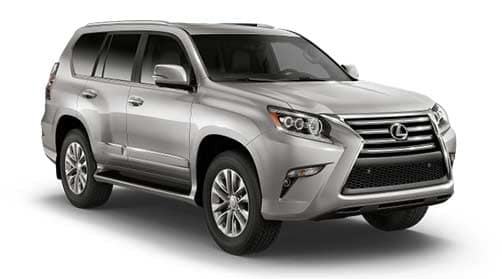 The 2018 BMW X5 xDrive35i and the 2018 Lexus GX 460 Premium are known competitors in the San Francisco bay area and across the US, both featuring the comfort and convenience of a luxury SUV with well-respected brands, smart technologies, spacious interiors, versatile cargo storage, and standard all wheel drive to maintain traction on even the roughest surfaces. Overall, the 2018 BMW X5 xDrive35i is a clear winner, providing impressively better acceleration yet a signficantly greater fuel efficiency, a more upgraded transmission, advanced features, Panoramic Moonroof, and a more optimal covered maintenance plan than the 2018 Lexus GX 460 Premium. 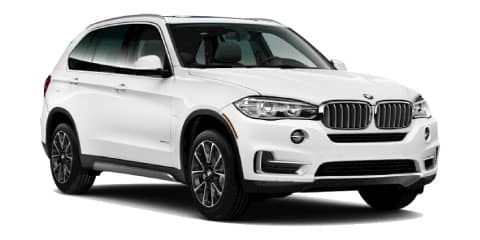 Contact BMW of San Francisco today to test drive the fully loaded 2018 BMW X5. The New 2018 BMW X5. Make a more powerful impression, San Francisco. Master the road in the new 2018 BMW X5. As the first Sports Activity Vehicle® in BMW history, and the largest X, it’s the ultimate in luxury, power and space. With the optional 3rd row seating, it seats up to seven and is available with a wide range of powerful engines to choose from, including an efficient eDrive engine. 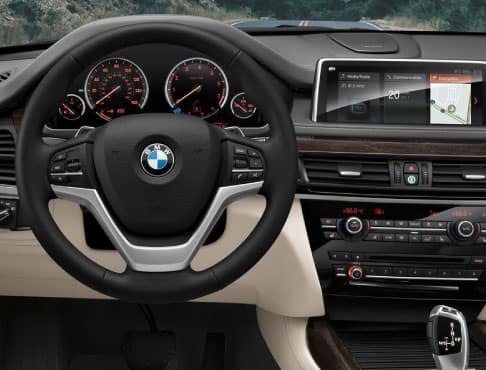 Explore some of the BMW X5’s many technology upgrades and features, like the iDrive 6.0 system with on-board computer, controller and 7 programmable memory buttons, Panoramic Moonroof, advanced Vehicle and Key Memory, xDrive All Wheel Drive system, Power Tailgate, and much more. 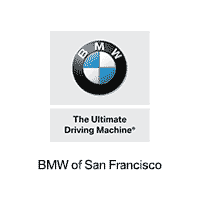 Simply submit the form on this page or call 800-872-2697 now to schedule your personal 2018 BMW X5 test drive today with your friendly BMW experts, BMW of San Francisco. 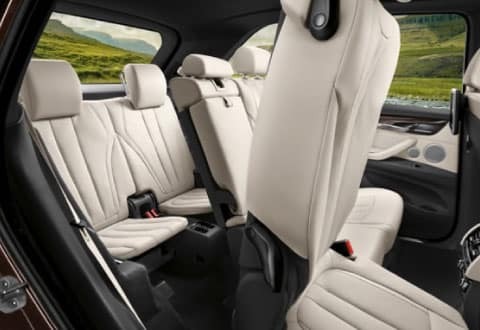 With the X5 you can have space for all. 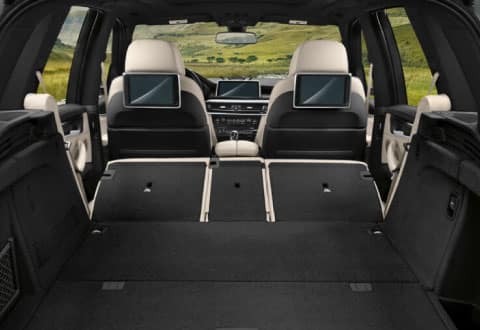 The 2018 BMW X5 boasts one of the largest cargo spaces of any BMW, with an impressive 35.8 cubic feet expanding to a massive 76.7 cubic feet with rear seats folded down. The X5’s optional third row seat extends passenger capacity and comfort, and even includes its own climate control. Expect and enjoy the best with the X5. 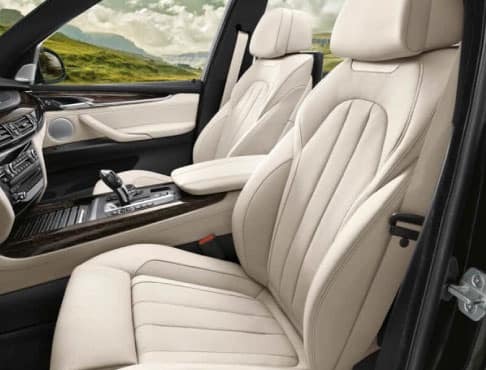 An interior trimmed in real wood or brushed metal, seats covered in durable SensaTec or optional top-quality leather, and a host of interior options from Ambient lighting to Comfort and Heated rear seats provide upscale options available for your choosing. The BMW X5 is yours to design – with luxury as the starting point. 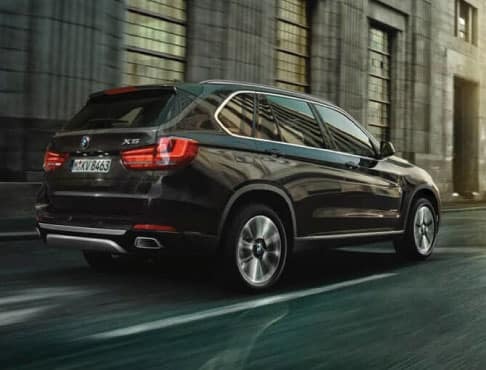 The X5’s xDrive, BMW’s intelligent all-wheel drive system, enhances your X5’s handling, and maintains traction on even the roughest surfaces. It distributes power between the front and rear axle, continuously adjusting your ratio to best suit changing road conditions. 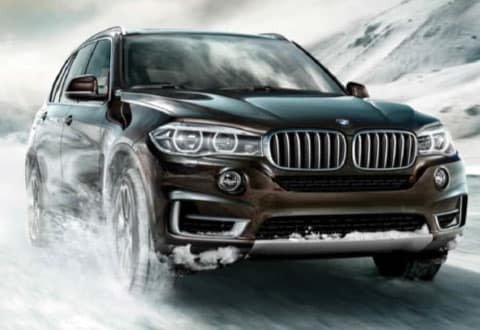 When combined with the X5’s standard 19″ all-season run-flat tires, you get even more weather-dominating traction, so whether you are in your BMW X5 on the California highways, just commuting around San Francisco, or traveling across the US, with the X5 you can drive with confidence in any situation. Constant contact. 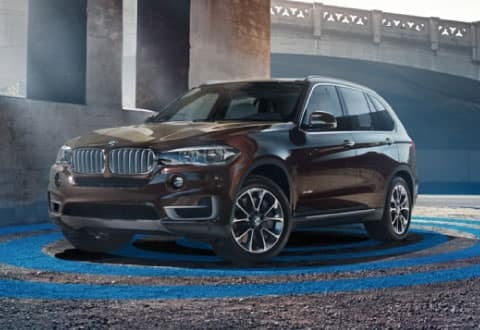 Whether you’re on-the-go in your X5 around the San Francisco Bay Area or far off the beaten path, the optional WiFi Hotspot keeps you connected to everything you love. And the Wireless Charging Pocket means your mobile device is ready to go wherever you stop. Explore the BMW X5 iDrive 6.0 System with on-board computer, Controller and 7 programmable memory buttons. 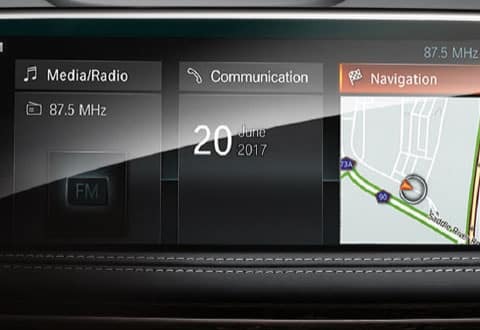 This X5 intuitive interface includes natural language understanding, so you can simply say what you want to do – from finding a destination to choosing a radio station – and let your BMW do the rest. Demo the X5’s intuitive navigation system at BMW of San Francisco today. 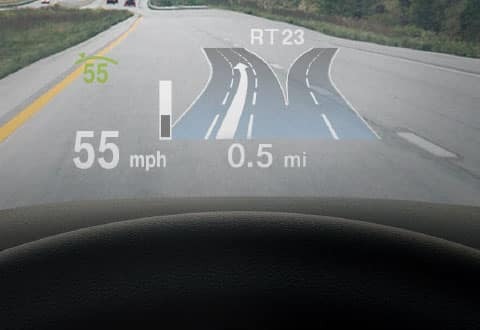 Get vital driving information – and see what’s coming – with the X5 Head-up Display. Navigation guidance, collision warnings, your speed and speed limits are projected directly on the windshield, so you can look ahead while keeping your eyes on the road. 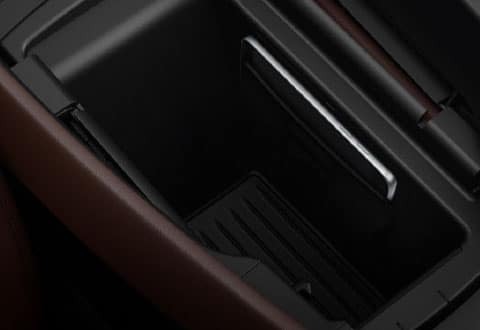 An optional charging pocket in the X5 central console provides inductive Wireless Charging for your compatible smartphone. 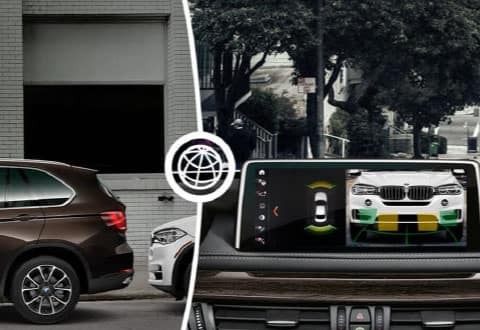 The BMW X5’s onboard WiFi Hotspot lets your passengers connect with ease – with 3GB of data included free for 3 months. Expand your line of sight. The X5’s optional Side and Top View cameras give you a clear picture of everything around you. Whether you need a bird’s-eye view to check for safety, or making a precision parking maneuver, your surroundings are shown in sharp relief on the 10.2” iDrive touchscreen. Pure enjoyment. Chase adventure up every San Francisco hill and around every corner. 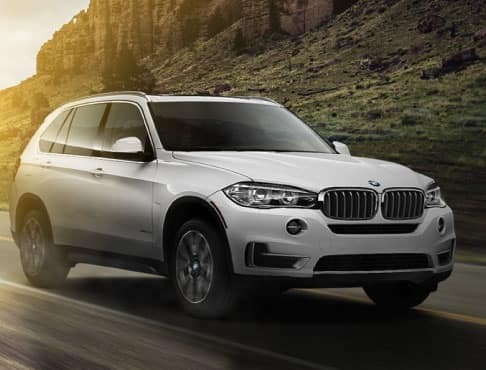 Standard features like the X5 Power Tailgate, Xenon Headlights, and Panoramic Moonroof let you live in the moment – and let nothing come between you and the road. Relax and enjoy your X5. The Premium Tier adds extra convenient features inside and out, enabling you to make the most of every drive – whether that means increased comfort for your passengers, or confidence in the driver’s seat. 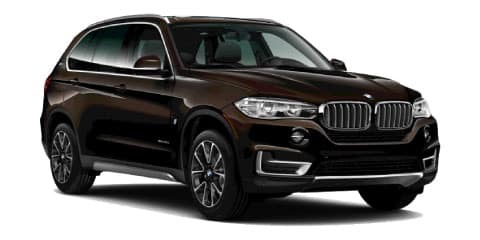 The 2018 BMW X5 offers the ultimate expression with Executive Tier. Take total control of the road with Adaptive Full LED Lights and Automatic high beams. Soft-close automatic doors add an extra touch of high-level class to a vehicle fit for a boss. Expand your line of sight with the new BMW X5. The optional Surround View Camera system gives you a clear picture of everything around you. Whether you need a bird’s-eye view to check for safety, or making a precision parking maneuver, your surroundings are shown on the 10.2” iDrive touchscreen. 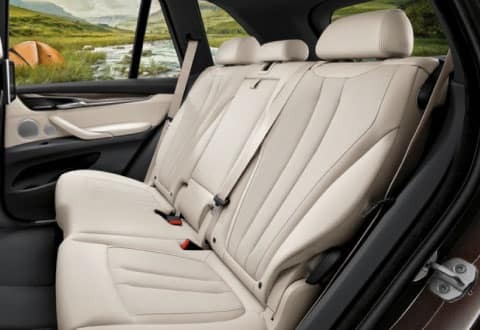 Kick back in comfort in your new X5, and savor every moment with the optional Luxury Seating Package. Front ventilated seats keep driver and front passengers comfortable in any climate, while Multi-contour seats are ergonomic perfection for drives of any duration. 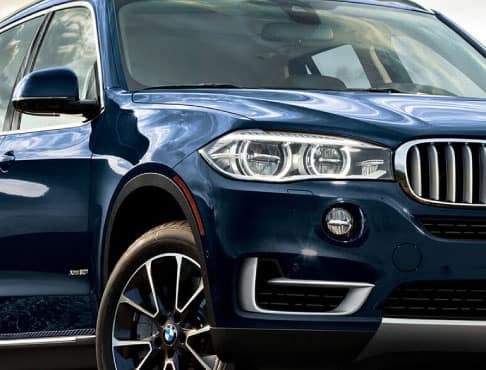 EXPLORE THE NEW 2018 BMW X5 NOW! The new 2018 BMW X5 models are here in-stock at BMW of San Francisco and ready for your test drive! Simply submit the form on this page, or call 800-872-2697 to schedule your personal BMW X5 test drive experience now. All information presented on this page was obtained directly from BMWUSA.com and competing manufacturer web sites, in addition to national industry sites such as www.thecarconnection.com and fueleconomy.gov. Information is deemed to be accurate but cannot be guaranteed. Consumers are welcome to independently verify all facts against manufacturer data and to contact us with any questions, using the form above. 1 BMW AG preliminary test results. Actual acceleration results may vary, depending on specification of vehicle; road and environmental conditions; testing procedures and driving style. These results should be used for comparison only and verification should not be attempted on public roads. BMW urges you to obey all posted speed laws and always wear safety belts. 3 Qi wireless charging not compatible with all smartphones. Some devices may require a charging accessory.